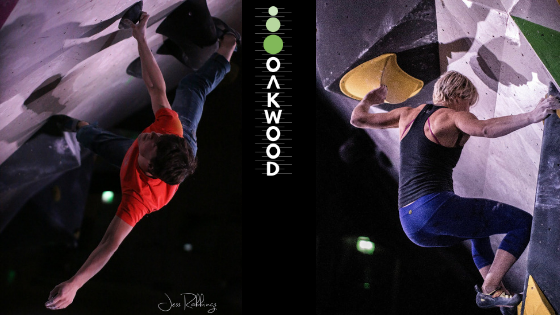 We’re excited to announce the details for the Oakwood Boulder Battle 2019. On Saturday 16th Feb 2019, we have a 1 day event with some great prizes up for grabs! – Showcase IFSC World Cup style finals for the top 12! For the Male and Female 17+, the top 6 climbers in each category will go through to the finals to fight it out for podiums! There will also be Juniors and Masters prizes and give aways on the day! Entry: £12.50 in advance or £15 on the day.